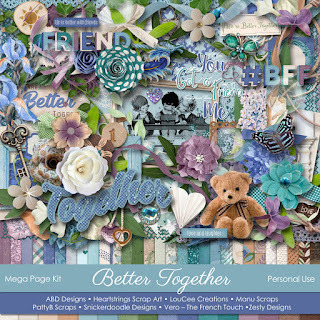 A beautiful kit designed by some incredible designers for a fellow designer is a winning combination. 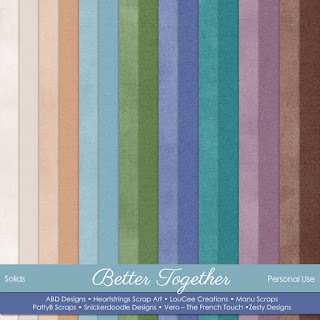 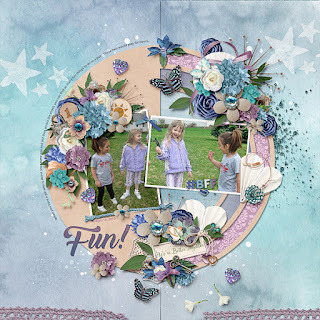 The theme of this pretty collaboration is friendship and is designed in shades of purples, blues, and beige tones along with white and cream for pop. 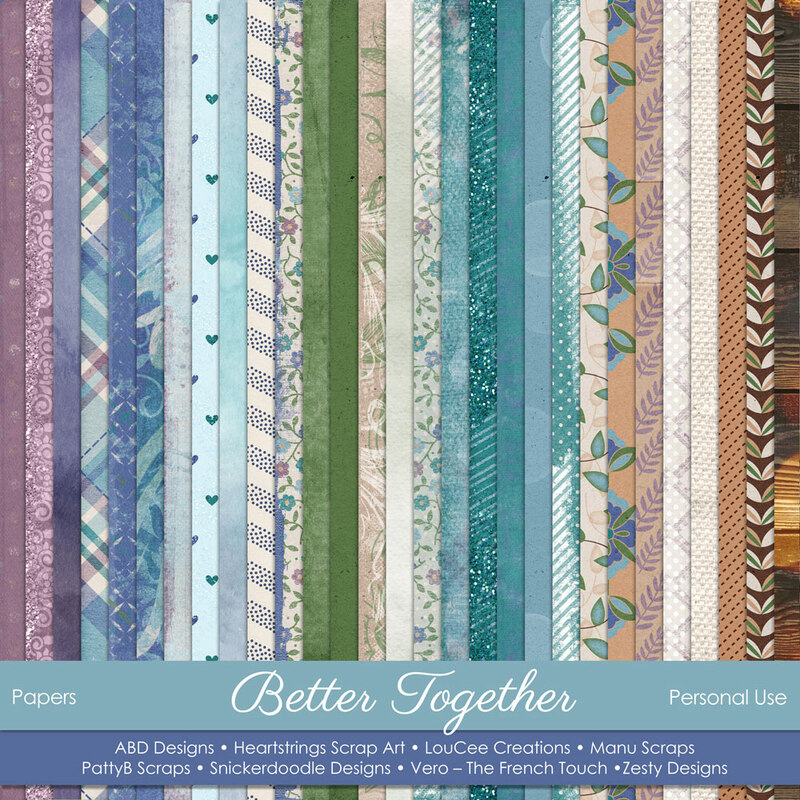 I used this pretty collaboration along with a new template set by Heartstrings Scrap Art called Bold Background #4. Add a little fun to your scrapping.